Kodaikanal which is one of the beautiful hill stations of India which is famous worldwide for its breathtaking abundant natural beauty and serene environment. This hill station is quite value for its exotic locales and scenic tourist spots. 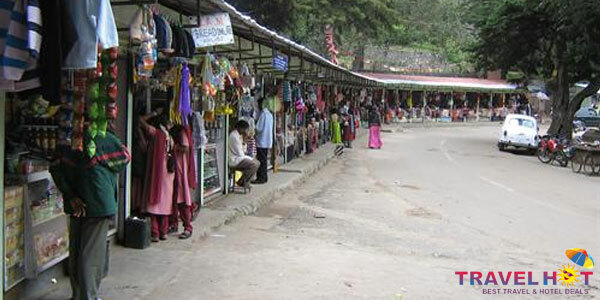 Kodaikanal offers wide range of options to visitors for shopping. A trip to Kodaikanal is considered incomplete unless you enjoy a bit of shopping in Kodaikanal. Availability of various shopping options in Kodaikanal ensures that you will definitely take home some excellent souvenirs and curios for your loved ones. Shopping in Kodaikanal is a wonderful experience and there you will get amazing range and variety of products. On your trip to Kodaikanal, you can buy homemade chocolates, marshmallows and cheese from any of the bakeshops in the town. If you are thinking where to shop in Kodaikanal then I would suggest you to explore street side small stores. At there you will get wide variety of woolen materials, vegetables, flowers, children toys, handmade articles, medicinal herbs and oils, flowers and many other things. You will also get wide variety of warm clothes, dried flowers, exquisite embroidery and many more products. People who are confused from where to shop for shawls, leather items, jewelry, brass, bone and walnut wood items, can visit Kashmir Handicrafts center in Anna Salai.